Now more than ever, hotels are adopting sustainable practices in an effort to reduce their carbon footprint, protect fragile ecosystems and support local communities. 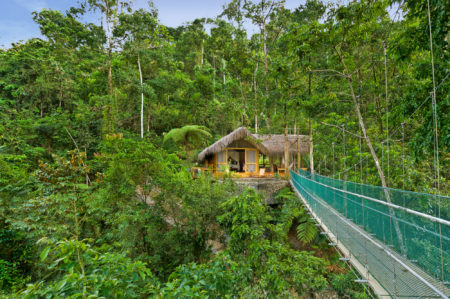 Catering to the environmentally conscious traveler, many high-end hotels have implemented their own ‘green’ policies, and dedicated eco-resorts are springing up across the globe. We’ve compiled a list of our favorite hotels that are doing their bit to protect the environment they exist in, whether that’s recycling waste materials, conserving water or serving regional cuisine. From private infinity pools at Pacuare Lodge to relaxing spa treatments at the Ocean House, they prove that being eco-conscious doesn’t mean forgoing the luxury comforts. 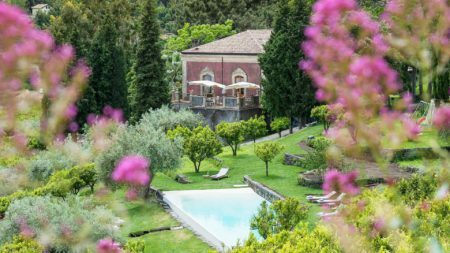 You’ll find no single-use products in the guestrooms at this elegant, 19th century estate nestled in the Sicilian countryside. All meals are prepared using produce sourced from local suppliers and the on-site farm, whilst activities – which range from wine tastings to walking tours – are low impact. ‘Green’ motorists will also be delighted to find charging points for electric cars. 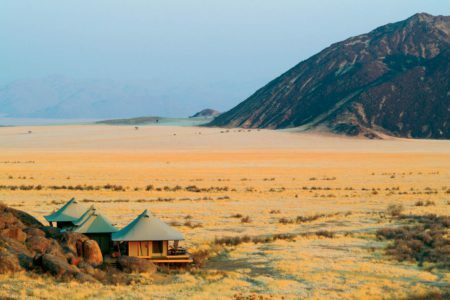 A founding member of the Global Ecosphere Retreats, Wolwedans has a portfolio of luxury camps in the NamibRand Nature Reserve where guests can enjoy game drives, scenic flights and walking safaris. Built around sustainability, all camps were constructed in an eco-friendly manner and are run entirely on solar power. Wolwedans also provides vocational training to people from nearby communities and showcases local crafts in its curio shops. Built from local lumber and palm leaves, Pacuare Lodge is an extraordinary eco-retreat in the midst of acres of virgin rainforest. The tours are carbon neutral, the showers are solar-heated and what little electricity they use is generated by a nearby turbine. Whilst a dedicated eco-lodge, guests can expect luxurious touches like private infinity pools, king-size canopy beds and outdoor showers. A dazzling eco-escape on the Koh Rong Archipelago, Song Saa boasts fabulous food, superb service and rejuvenating spa treatments. 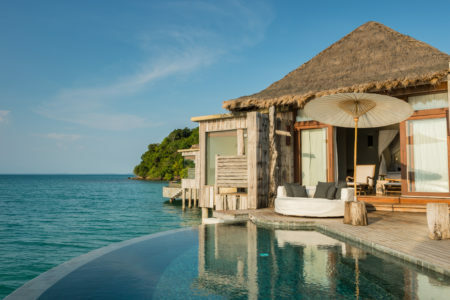 Constructed from reclaimed timber, it’s the first high-quality sustainable resort of its kind in Cambodia and committed to the protection of the surrounding marine park. The resort works with local communities on sustainability schemes, whilst guests can join staff on plastic recovery and beach cleaning expeditions. Uncover the untamed beauty and history of the Haida Gwaii archipelago at this far-flung wilderness lodge. 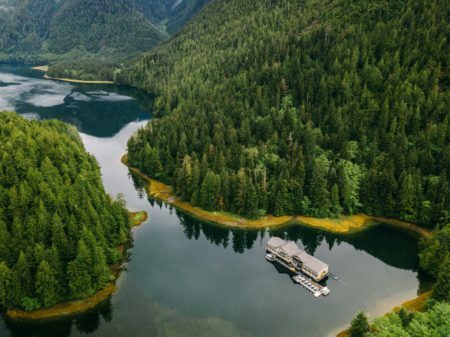 As well as offering a luxury escape to nature, this 100% Haida-owned property was built to preserve the culture of the Haida people who have lived on these islands for many years. You can expect a combination of wilderness and cultural activities that include village visits, rainforest trekking and floatplane tours.